Grammy nominated 1987 Sylvia Bennett, the timeless smooth jazz and pop vocalist sings of love with a warmth, clarity and spirit that is enveloping and tender, showcasing the depth of her skill, talent and experience. She's sung with Lionel Hampton and she's sung for presidents - all with a singular style and intimacy that is hers and hers alone. Smile is a collection of wonderful standards, recognizable, but all with an international flair to appeal to a broader audience. The flavors are bossa novas, boleros and a new hybrid merengue. Inspiration came from a history of enjoying the styles of Sergio Mendez and Wes Montgomery. The music is grooving with luscious percussion and masterful guitar. The richness of the beautiful strings touches the heart. 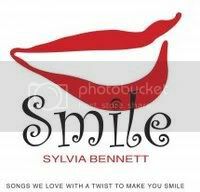 The tracks on the CD include classics like Smile, Witchcraft, Shadow of Your Smile, and Make Someone Happy. It also includes two bonus tracks: a Spanish version of Smile and a smooth pop version of Look of Love. The Italian born and American raised Bennett is a singer’s singer, having sung on TV, in community theater, club dates, conventions and even the inaugurations of presidents Ronald Reagan and George Bush. 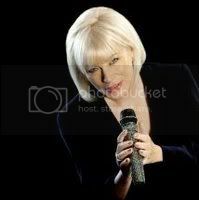 Walking in the footsteps of her idols such as Barbra Streisand, Ella Fitzgerald, Barry Manilow and Bette Midler, Sylvia has opened for artists as diverse as Bob Hope, Phyllis Diller, Jackie Mason, Dizzy Gillespie, Barry Gibb and David Brenner. 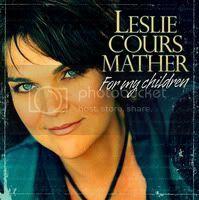 Born in Singapore West Coast Indie Artist Leslie Cours Mather Featuring CD “For My Children”. Leslie’s influence and concept for this project is touching, inspiring, spiritual, healing, and motivational. Her voice and the music reaches out to your spirit the determination, faith, and dedication for the purpose of “For My Children is endearing, you’ll want to place this CD on your gift list this holiday season, Leslie will be donating 50% of the proceeds for “Therapeutic Advances in Childhood Leukemia and Lymphoma". Tune into this show to refresh your faith and hope that God is still in the healing business. It can be hard to remain hopeful when times are dark. But out of even the darkest, most testing times can come great art- profoundly moving works that give us faith and let us know we aren’t alone in our hardships. Singer-songwriter Leslie Cours Mather has certainly endured some dark times recently. At the age of four her daughter Stefani was diagnosed with leukemia. Thankfully, Stefani, now eight, has been treated and is doing just fine. But it was a tough patch there for a bit. Out of it all, however, came an added bonus. As she and her family passed through this emotionally wrenching period, Leslie found solace and release in writing songs. Several of these songs are found on For My Children, her astonishing new album. “Sometimes life hands us things we don’t choose, but as we walk things out we grow,” expresses Leslie. For My Children is the beautifully stirring sound of an artist growing. A sound sure to resonate, not only with mothers and those whose lives have been touched by cancer, but with compassionate listeners everywhere. In 2000 Leslie performed her original ballad “Why Choose Me” as a duet with Tony Award winner Scott Waara, who said, “It lifts the spirit, which music does at its very best.” Her single “The Pledge” won an Honor Award 2004 in the Great American Song Contest and was featured on the Armed Forces Radio Network and other stations worldwide. Paul Wilson from TyneFM.com regards it as “Most impressive” and Brooksy from UnsignedBandWeb.com said, “I’m hooked on ‘The Pledge.’” In 2003 she released an acclaimed instrumental CD, Spontaneous on Piano. Recently, Leslie joined with a team of doctors from Children’s Hospital Los Angeles where Stefani was treated, to establish the Parents’ Advisory Council of the international consortium TACL (Therapeutic Advances in Childhood Leukemia and Lymphoma). Together, they are working diligently to develop new treatments, support families and raise money to eradicate these diseases. Fifty percent of the purchase price of each For My Children CD will go to TACL. So, sit back relax have a cup of coffee, tea, or a glass of wine enjoy some good conversation and music with “Leslie Cours Mather”. Reykjavík, Iceland Indie Artist For a Minor Reflection Featuring a.k.a. “FaMR” CD Holdum í átt að óreiðu’ (Heading towards chaos). This quartet instrumental approach to music seems to incorporate a rock fusion with ethereal flavor. It’s relaxing, reflective, and has somewhat of a meditative appeal. 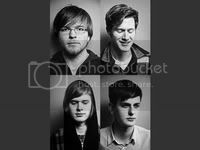 They have been compared to and toured through Europe and Canada with popular Iceland bands such as Sigur Rós, Mogwai. 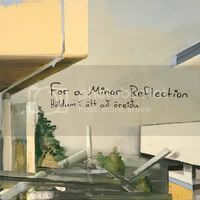 Back in 2007, the quartet struck up a fan base with their self-produced debut album Reistu þig við, sólin er komin á loft... (Rise, the Sun’s Up...), a mesmerizing, hour-long tapestry featuring six songs and recorded over a weekend in their friend’s studio. This record, as well as their energetic live shows, earned them a slew of accolades, including favorable comparisons to Explosions in the Sky, Caspain and Godspeed You! Black Emperor. Their fellow Icelanders Sigur Rós even described them as “a band with the potential to out Mogwai”. Following a scintillating live performance at 2007’s Iceland Airwaves, FaMR were invited to undertake a two-week 2008 tour in the USA and Canada. Later in the same year the band were invited to do 15 dates with Sigur Rós on a European tour and used the opportunity to release their album on iTunes, as well as selling it on the tour. The band sold out on the 2000 albums they manufactured bringing the total sales figures of this modest demo recorded in a home studio to 5000 copies. 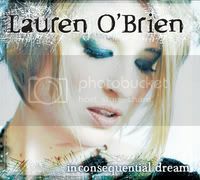 Which is exactly what Lauren does—and then some—on Inconsequential Dream, her astonishing debut album. Take “color code,” a menacing, tension-rich rumination on love’s blurred lines of communication (“The colors in our code system / seem to keep switching on me”). Or the hard-hitting title track, which was inspired by the numerous mystic predictions about the year 2012 and the letting go of old ideas in order to live more fully in the new age (“Try to survive / it’s time / the quickening / the great purifying”). And then there’s “To Let Someone,” an acoustic guitar-laced allegory likening newfound spiritual energy to the acceptance of a former lover’s new mate (“To let someone / who is loved / by the one who used to love you / into your home / Well that is the thing/ that takes / the most courage”). Lauren’s own ride began in her suburban hometown of East Meadow, Long Island, where she found herself drawn to the arts and political activism. “I organized a protest against fur at the mall when I was in fifth grade,” says with a laugh. There was music and culture in the house; her father played guitar and her mother, a teacher, played piano and exposed her to literature and theater. Inspired by the beat writers, Lauren took to poetry early on. Following music lessons she went on to study acting, met groundbreaking director Polina Klimovitskaya, and spent three years with the professor’s avant-garde troupe, Terra Incognita Theater. Lauren credits Klimovitskaya’s “psycho-physical” method as a strong influence on her own approach to performing, and began to utilize it when she started participating in poetry readings. So, sit back relax have a cup of coffee, tea, or a glass of wine and enjoy good conversation and music with Lauren O’ Brien. The Azú Project is a ground-breaking fusion Afro Peruvian Music and Jazz with pop infused elements mainly. 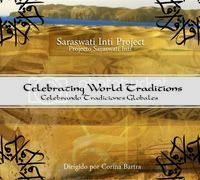 The Saraswati Inti Project is a blend of Indian, Andean and American pop-Folk. Corina is the first vocalist to blend Afro Peruvian and Criolla music & Jazz. She also pioneered subtle and exciting instrumental textures in her compositions and her arrangements. She writes extensive intros, interludes, and solos filled with inventive rhythms and beautiful harmonies. She also guides her musicians to do so. With this approach, she adds an instrumental section to her unique & historic projects. Corina Bartra has degrees in jazz percussion from (name schools) and a Master in vocal performance. Like so many jazz masters before her, Corina Bartra resides in the New York area (when she is not in Peru) where she not only plays but can study the works of all those artists who came before her, building the international sound of jazz to what it is today. Corina is the recipient of the prestigious Queens Council on the Arts award in 2008. Her vocals from “Bambu Sun” stand apart from the crowd. In her new BAMBU SUN she once again dives into the Afro Peruvian sonorities and other Latin undercurrents. She has pioneered a ground-breaking fusion of jazz and afro Latin music with her releases: CORINA BARTRA QUARTET, Son Zumbon, and Travelog, when for the first time one could hear the incorporation of the cajon (Peruvian percussive box) and the festejo groove blended with jazz. 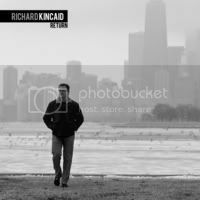 Indie Artists, Businessman, and Socially Conscious Richard Kincaid Debut CD “Return”. Richard is an example of someone who worked extremely hard in corporate America and at some point reflected on his passion then took a leap of faith. 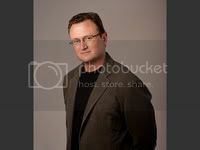 Richard is the former CEO of the largest publicly traded office real estate company in the United States, when his company sold in February 2007. This reflection highlights that one’s success is also tied to dreams, passion, and desire. When these ingredients burn from within despite monetary & business success they still will somehow tap you on the shoulder until you begin to journey towards that path. 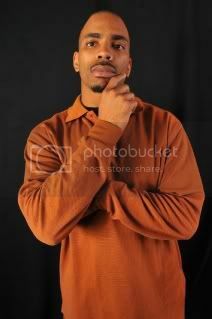 Richard has a beautiful voice that ranges from R&B, standards like “All in Love is Fair”, and a voice for theatre. Where and when did this begin, as the fifth child of a musically inclined family of six, Richard sang before he completed his first sentence. In Ellinwood, Kansas, a town of approximately 2,000 people, the young Richard inspired church parishioners with stirring solos during services, weddings and funerals. Later he charmed diners as a singing waiter. From elementary school through his Bachelor’s at Wichita State University and his MBA at University of Texas, Richard studied classical voice. Drawn to the narrative power and sweeping scores of musical theater, he starred in many summer theater productions. Influences include Stevie Wonder, Marvin Gaye, Elton John and the musical theater canon. Throughout his corporate career, Richard maintained a strong and joyous connection to music and he re-dedicated himself to singing in 2007. Richard’s social consciousness is reflected via his non-profit world, founded the BeCause Foundation, a not-for-profit organization dedicated to solving complex social issues and promoting change through the power of film. Northwest Indie Artists Shelley & Cal James Featuring CD “Something Go’in On”. The harmony of their writing, music, and performances is an extension of the friendship & love this married couple has for each other. They are feel good about being Christian and understand being Christian doesn’t restrict anyone from enjoying a variety of music genres, whether Christian, soul, or rock. Shelley & Cal also bring another message to the world as a successful interracial couple and the beauty of their love, which is also shared via their music. The pure blend of Christian inspired messages, soul melodies and rock edge that Shelley & Cal possess is best displayed via their live show. "Our shows are very interactive," describes Shelley. "The audience often finds themselves moved to sing along as if they were a planned part of the vocal landscape." The shows feature a section they fondly term the "A Capella Power-Love-Duo," which is reminiscent of beat box meats Bobby McFerrin - Cal (who also plays bass) sings the bass and rhythm parts while Shelley's vocals soar overhead. The way that Shelley & Cal seamlessly work together whether it be writing music, performing or raising their new baby, Eva can be attributed to a bond that began forming when they met in 1993 when Cal's brother Edwin suggested that Cal audition for a spot in the band Shelley helped start called, Pyramid Breakfast. "It was love at first note - both musically and romantically," says Shelley. Neither was completely sure what was happening or how it would affect the band's dynamic, so they did it right and nurtured their friendship; but it was clearly serious and after a courtship of nearly two years, Shelley & Cal wed.
Shelley & Cal both come from musical families. Shelley began singing with her family quartet at four-years-old touring the Western provinces of Canada with the family performing at churches, festivals and even on local television as the Ratzlaff Family Singers. Meanwhile Cal studied piano and violin in elementary and middle school and in high school picked up "my dad's (who had toured with Peter, Paul & Mary and Cal Tjader) Fender 'P' bass and learned how to play contemporary music by watching classic rock videos on MTV and by listening to the stereo. 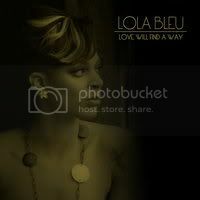 Michigan indie artist Janell McCracken p/k/a Lola Bleu featuring her Debut CD “Love Will Find A Way”. Lola has a wonderful voice it’s refreshing and styling incorporates Pop, Soul, and R& B. Lola also reflects a sense of maturity, grace, and class which also sets her apart. She’s been compared to ‘Michelle Williams, Solange, LeToya, Aaliyah’. In 2002 McCracken was selected as lead soprano of the schools choir during her sophomore year attending Pine Forge Academy. The nationally renowned choir toured the country singing in front of orchestras and large congregations praising God at her highest pitch. She graduated from Pine Forge in 2006 and moved to Huntsville Alabama to attend College. While in Alabama McCracken put school and work before her passion but the music never left her heart. She would eventually meet local artist Mista Freezy and begin singing hooks for his album. The hook work reignited her desire to sing. That would lead to her linking with Sanders and close friend/songwriter Donna Jackson. JOIN US NOW! EARN TO LEARN! 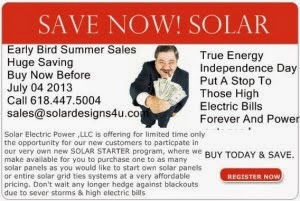 GO SOLAR! Subscribe via email to "ESpiritE-Radio7" w/Host "Nesheba"
Essential Spirit Enterprises - Consulting Services" Copyright 2001 & Beyond - All Rights Reserved. Picture Window theme. Theme images by konradlew. Powered by Blogger.